Like many people fascinated by mythology, consciousness, esotericism, and especially dreams, I’ve been influenced by Carl Jung far more than I’ve read him. His ideas have made inroads into my own in two ways: on the one hand, through the kind of pervasive osmosis that bears all manner of profound cultural influences; and on the other hand, through the work of an important Jungian, namely James Hillman. (Freud comes to me in a similar way: through osmosis, and through Norman O. Brown.) 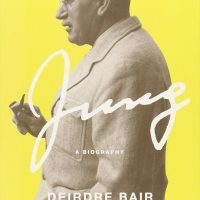 When Deidre Bair published an authoritative biography of Jung I thought that would be the only guide I needed to fit the Jungian scraps I’d absorbed into the frame of history. 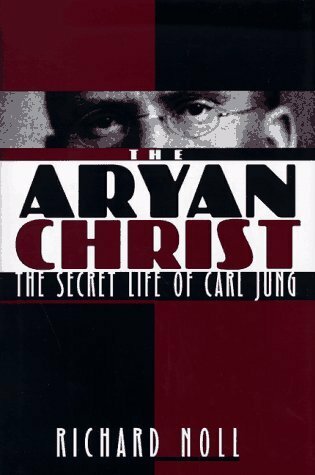 However, reading Richard Noll’s controversial The Aryan Christ (1997) has undermined that assumption in interesting ways, and reinvigorated my interest in Jung. Noll is a clinical psychologist and historian of science at Harvard. The Aryan Christ and The Jung Cult (1994) represent a sustained attempt to complicate (some would say demolish) the image of Jung as a wise old man dispensing universal wisdom. Of course, ever since his break with Freud in 1913, Jung has been a disputed figure, so Noll’s attack isn’t a bold step away from some kind of reverential consensus. Here is the first of many problems, then. No doubt aimed at insular circles of Jungian psychologists, and at the naive embrace of Jungian ideas in hippy and New Age subcultures, Noll’s attack is nevertheless pitched into the general sphere of popular intellectual discourse. Here, especially given the utter dominance of Freudian ideas in the humanities, there are many who are only too glad to receive more ammunition to discredit Jung and his followers. As is often the case, something that seems like it could be a constructive part of a debate, if it were pitched correctly, ends up fuelling divisiveness and misunderstanding. Noll’s thesis here is that the apparent universalism of Jungian theory (‘archetypes’ underlying all human religion and myth) belies its very real roots in the late 19th, early 20th century ‘Völkisch‘ Romantic ethnocentrism in the Germanic world. In his introduction, Noll asks his readers to ‘do the morally impossible: to imagine a world — fin-de-siècle German Kultur — in which the words “Hitler” and “Nazi” and “Holocaust” do not exist’.1 This request goes to the heart of the interestingly problematic nature of Noll’s work. It’s an important move, to see that while many at the time recognised the problems with racially-coded appeals to mysticism, the taint of evil which World War II left these appeals with was of another order. But this move is also, as Noll acknowledges, practically impossible. So ostensibly Noll is trying to give a more balanced account, rooting out some elements in Jung’s life which may have been downplayed in an attempt to keep a distance from Nazism, but which weren’t, in their historical context, burdened with the damning aura we now tend to see. But there’s a sense in which the impossibility of really seeing past Nazism leaves Noll smuggling smears under the banner of objectivity. It’s a very complex dynamic, and appreciating its complexity is vital to navigating this debate. Jung’s break with Freud — characterised to some extent at the time as an ‘Aryan’ break from Jewish-inflected thinking — precipitated in Jung a breakdown, which led to a visionary dive into the underworld. His wrestle with this resulted in the core of the Jungian stance: embracing the reality of the psyche. This all occurred against the backdrop of World War I, finding Jung and his gradual accumulation of disciples isolated in neutral Switzerland. There seems to have been a sense among this group that Jung’s new ideas contained the potential to help defuse the increasing irrationality and violence which was exploding beyond the mountains. But it’s Noll’s contention that Jung’s visions were specifically rooted in both the blood and soil of Europe, and that beneath the radar of public discourse he maintained a commitment to a post-Christian revival of pagan polytheism. From a post-Nazi perspective, the idea of finding solutions to the world’s ills in such things seems woefully naive. Noll would claim that this shouldn’t prevent historians from placing them in their proper pre-Nazi perspective; his critics would claim that Noll’s attempt at this is clumsy at best, arguably duplicitous and defamatory. Noll points to a visionary experience Jung had of turning into the lion-headed, snake-wrapped deity Aion — although this occurred after he assumed, in the vision, the posture of the crucified Christ. Noll associates this with Jung’s fascination with Mithraism, and concludes that Jung’s experience of Christ-Aion deification — becoming a god — represents a crystallisation of a messianic impulse behind Jung’s mission. Noll maintains that Jung carried his mission forward in secret (as befits a new mystery school), that analytical psychology was effectively the exoteric veil for these esoteric arcana, and that his ongoing emphasis on Christian images and downplaying of specifically Aryan themes represent his accommodation to the thorny political associations created by the rise of Nazism. Noll’s critics are surely right when they decry the sensationalist aspects of his debunking. 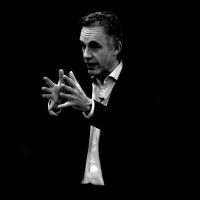 He luridly overplays ‘the mysteries of deification’; the idea of this supposedly reputable psychologist thinking that he had become a god is simply impossible for a secular critic to resist. It makes for tiresome scholarship but, I confess, juicy holiday reading. But it’s important to note that Noll only quotes in passing a critical subsequent phase to Jung’s experience. ‘It is therefore a question of the overcoming of self-deification,’ Jung wrote, ‘which might also be compared with the Death of Christ, a death of the greatest agony.’2 For me this marks Jung as truly insightful, not to mention possessing an important combination of strength and humility. Identification with godhood (either as an initiatory phase or a radical revision of the notion of godhood) is a part of most mystical paths of interest, though it is usually cushioned by expert guidance (not to mention shrouded in secrecy). Jung went through such an experience virtually alone, and managed to see through it, and move on to a genuine, deepened humanity. That’s not to say that all traces of egotism and delusion were erased, of course. But in his subsequent role as the instigator of something new — a school of psychology, an ideology, a perspective, a cult, a religion, as you prefer — he seems less like the slightly unhinged racialist of Noll’s insinuation, and more like a flawed human who had an extraordinary experience and managed to salvage interesting things from it. His [Noll’s] stolid literal-mindedness leads him into absurd misinterpretations. 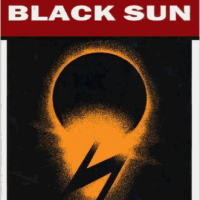 Thus, because Jung writes at length about solar symbolism and solar renewal … Noll believes he must have been a ‘sun-worshipper’. Since Jung exposed himself to the experience, which he and many other introspective people have described as ‘the god within’, he believed he was a god. However, I also appreciated reading Noll because for me his attack felt like a useful reminder that one can’t be too blasé about such things. 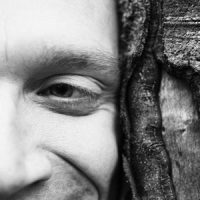 Once you’ve embraced the idea of the reality of the psyche being at root metaphorical, it’s easy — especially in the absence of world-shaking visionary experiences — to settle into that perspective, and forget that, in our culture at least, literalism is a threat which never really goes away. To casually frame ‘self-deification’ as a harmless discovery of ‘the god within’ risks underplaying the real dangers that such an overwhelming experience can present. Obviously Jung didn’t simply believe he was a god. On the other hand, I imagine that deep down he ran the gauntlet of this belief, and since he was a man of the world (married, working, socially involved) it would have been hard to fully escape tricky reverberations in the ego. There is one problem with attacking Noll’s literalism: he explicitly disavows it. The first paragraphs of his introduction are worth quoting in full. Bold emphasis is my own. Sifting through the private literature of the past, the letters and diaries intended only for those now dead, is like listening to a conversation at the next table as we pretend to be lost in thought. Inevitably, we gather only bits of detritus that we — like magpies — weave into something meaningful. We construct — not really reconstruct — stories about the past for the purposes of the present. We imagine that the dead have returned, move about, gossip. We try to convince our readers that they have joined us, to sip tea nonchalantly and strain to hear the tales being told nearby. If one thinks about it this way, the craft of the historian seems almost Dadaist. The dead are astoundingly dead. How can we really hear what they’re saying? Why the delusion that the dead said what they said, wrote what they wrote, for us? Yet we always feel that these things are so. For better or worse, we personalize the past. The dead become ours. And we become upset, disturbed, when our preferred tales of the dead are heard differently — and retold differently — by others. This passage immediately endeared Noll to me. I allowed it to sink deep down, and let it govern my reaction to the rest of the book. I gave him plenty of slack for apparent literalism being taken as a story of a potential past being put forward with conviction, for dramatic purposes. At the same time, I appreciate I’m probably not an average reader. Plenty of people took Noll’s explicitly declared ‘tale’ as a firmly-believed statement of facts. Part of me does wonder at the above critic, who sees Noll as a stolidly literal-minded, when The Aryan Christ opens with such a candid and insightful admission of the historian’s necessary creativity. I can also appreciate legitimate concern that Noll’s statement — however prominent — would not have enough of an impact on the average reader. Noll could have finished his ‘frame’ by revisiting the creative, narrative nature of history at the end, deliteralising his story-telling. It’s probably charitable to see his failure here as an error of judgement. Even though I enjoyed reading the book, there is something duplicitous in the way he gives himself a license to spin a story, then leaves the reader meshed in the web. Interestingly, this issue at the heart of Noll’s work is very similar to one at the heart of Jung’s: having too much faith, perhaps, in the popular imagination’s ability to navigate non-literal realities. That is, did Jung underestimate the repercussions of blending liminal visionary experience with theories of genetic inheritance? However, in Jung’s favour here is precisely the evidence Noll uses to attack him. Jung’s awareness of the tricky nature of his ideas caused him to be secretive about some of them, to be selective about who he admitted to his inner circle. It is Noll who decides to dig them up, then to throw his useful but ambivalent ‘tale’ into the public sphere without adequate caveats. On the one hand, it’s hard to not detect elements of völkisch reservation here. There are also surely elements of individualism as well, the ostensibly völkisch elements functioning as metaphors in which ‘your own garden’ is your inner world rather than your racial collectivity. The above is preceded by a warning from Jung that ‘programmed teaching’ is dangerous. So presumably he was contrasting his own method, allowing guidance by one’s own autonomous psyche, to Ouspensky’s method, which Jung saw as more of an externally-imposed system. This is important to bear in mind (which Noll doesn’t). But it’s complicated by the fact that Jung never drew a clear line between one’s inner world and racial collectivity. Some have noted that Noll misrepresents Jung’s beliefs about archetypes, which seems to have some truth in it. As ever the issue exists to a significant extent in the gulf between the careful statements buried in the in-depth writings, and the juicy sound-bites and superficially exciting, shallow popularisations. As to the idea that sticking to your own culture’s myths and gods is essential for health, there is a grain of truth here, but a truth which is falsified if grasped too tightly. For my own part, a Jung quote actually acted as a kind of pivot for me, as I shifted between a teenage fascination with Buddhism, and my devotion in my twenties to drugs and megalithic monuments. I forget the quote, but it was in essence a brief summary of the above passage from his letter to Constance Long. It didn’t feel in the slightest bit suspect, quite the contrary. It felt like a positive argument against cultural appropriation. And it eventually led to a deeper appreciation for Buddhism, and most other spiritual traditions (including ‘non-native’ traditions that are now an important part of my practice). In the end, the arguments for and against the biological roots of archetypes are red herrings. As I’ve said, I think for the most part this view is an incredibly potent metaphor being taken literally. What if you manage to convince a fascist pagan that this is the case, and they maintain their bitter nativism from a social constructionist point of view? ‘We belong to the culture we’re raised in, not because of blood but because of culture.’ You might say, well, culture is mutable. This is true, but it’s not easy to change. And even if it is, should it be changed? You’ll always come back to basic principles of protecting minorities from harm, and then to ever-contested border zones between ‘harming minorities’ and ‘affirming majorities’. In this, I like to recall the fact that homosexuality exists in many animal species (sometimes in a not-so-small minority). However, as far as we know, homophobia only exists in one: humans.7 People like Jung were sometimes on to something in their appeals to reject civilised repression and return to a more ‘natural’ way of being — but not always in the way they thought. As with Jung’s work, Noll’s work is important to wrestle with, even if you end up mostly disagreeing with him. Between them you’re pitched right into deeply important issues, and while I’ve got problems with both, I accept that the bits of important debates that reach into popular consciousness are never as nuanced as we might like. Noll’s attacks are tinged with sensationalism, even opportunism, and his attempt to frame his history as a ‘tale’, not to be taken entirely literally, hangs ambivalently between honest humility and rhetorical subterfuge. But to the extent that he provokes debate, he serves a vital purpose, perhaps complementary to the equally vital balance and detail found in the careful work of Bair’s biography. The Aryan Christ by Gyrus is licensed under a Creative Commons Attribution-NonCommercial-NoDerivatives 4.0 International License.